The NBRSA has liberalized its rules regarding front sandbags. 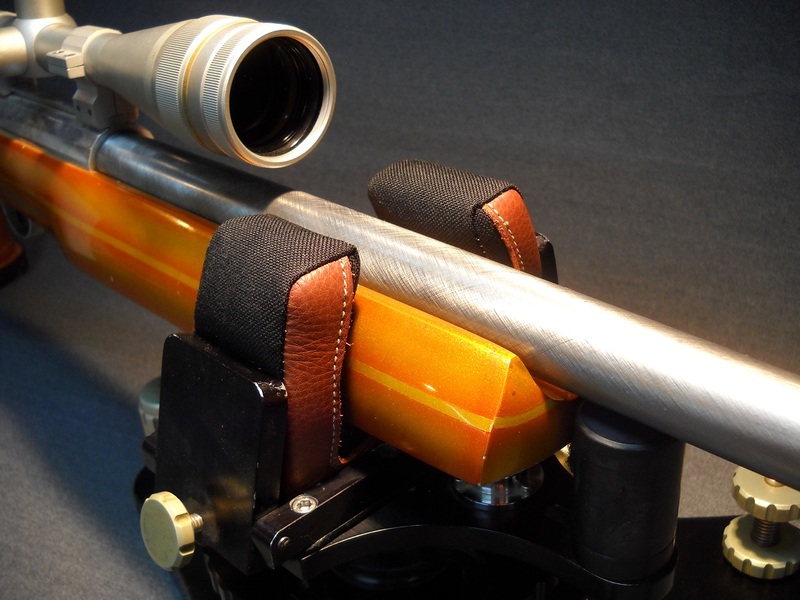 Until this year, NBRSA rules required that benchrest competitors be able to lift their rifle fore-ends freely from the front bag. Accordingly, front bags could not “capture” the forearm or hold the gun down (i.e. keep it from rising). In order to meet this requirement, “legal” bags had straight sides that didn’t stand too far up. Now the NBRSA rules have changed. 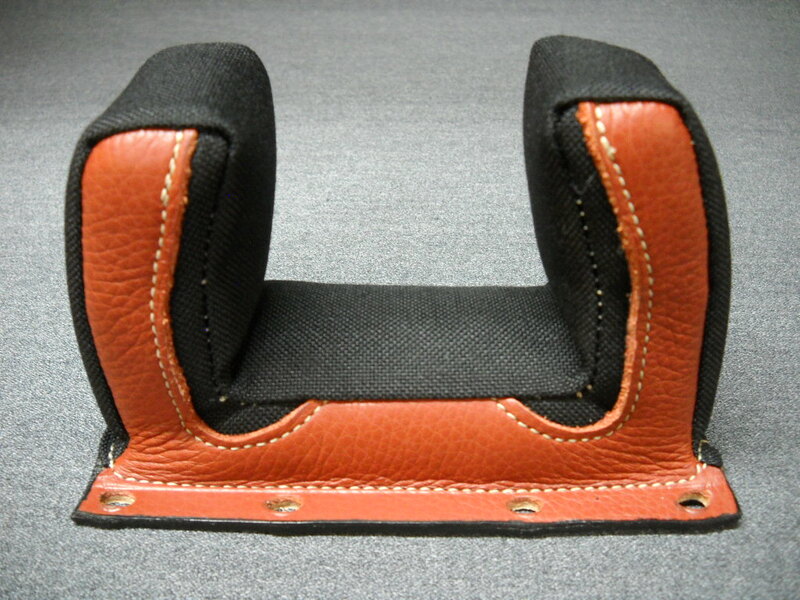 You no longer have to be able to lift the gun up freely from the bag without interference. It’s now permissible to have a bag that offers some up/down retention. 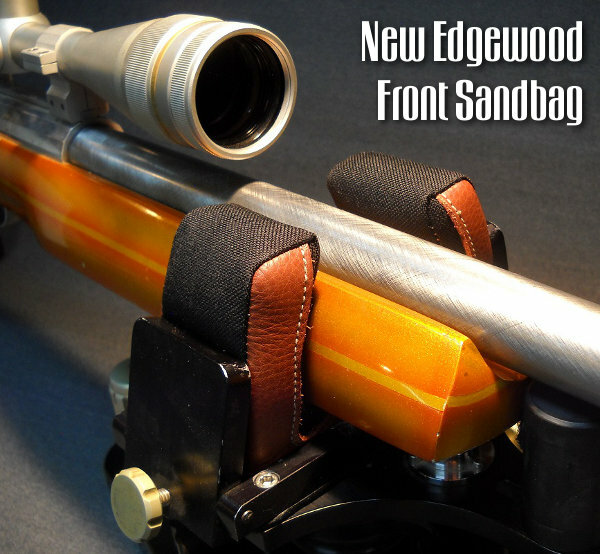 Check out this new bag from Edgewood Shooting Bags. 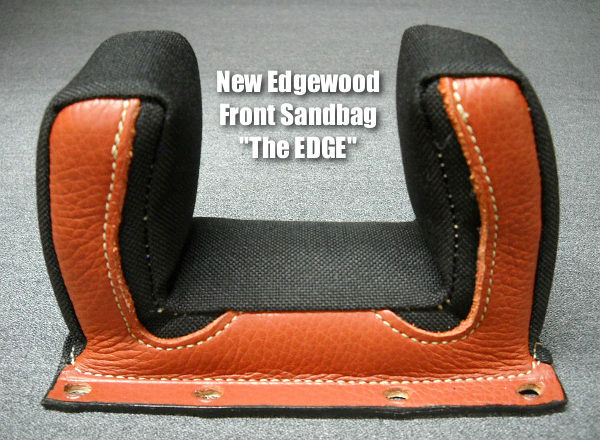 Call “The EDGE”, it offers taller side sections that can hold the fore-arm in place and counter torque. We expect this new type of front bag will help stabilize short-range benchrest rifles, particularly in the 10.5-lb Sporter and Light Varmint classes. But we expect the biggest gains will be had with the big-caliber rifles used in Mid-Range and Long Range benchrest competition. 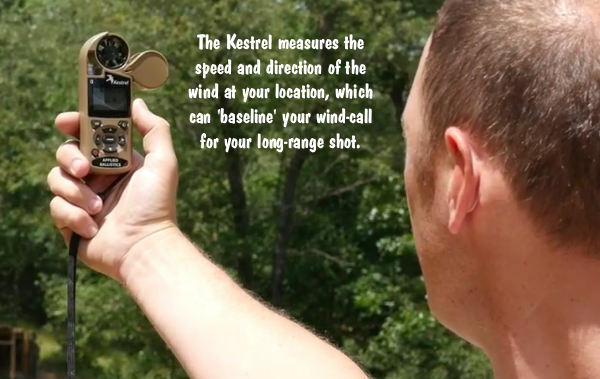 In the 1000-yard game, heavy-recoiling 7mm and .30 caliber cartridges are popular with many shooters. These big guns generate considerable torque despite their ample weight. We predict these “super-sized” front bags will reduce both hop and rolling motion (torque) in the big guns. Rule Change and Product Tip from EdLongrange. Product Tip from Boyd Allen. We welcome reader submissions. Share the post "NBRSA Rule Change Inspires Radical New Front Bag Design"
When we first ran this story a while back, it spurred a hot debate, with strong opinions on both sides of the issue. Some guys argued vehemently that volumetric powder dispensing was best — citing the experience of short-range benchresters, most of whom still throw their charges. 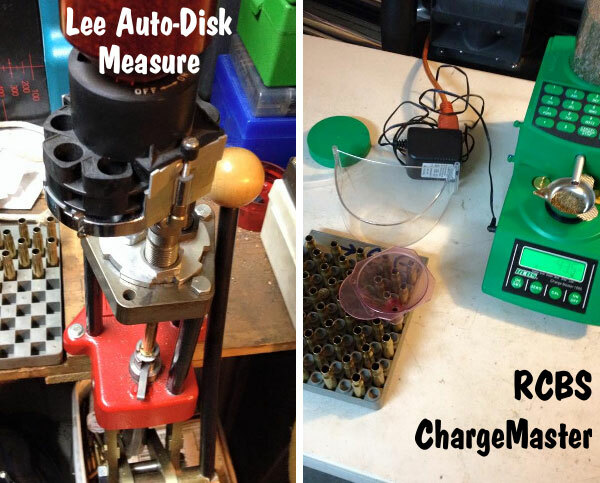 Others say weighing your charges is best, so long as you have a very precise, and very repeatable scale. We know some of the top 1000-yard shooters weigh their charges to the kernel. Most competitive long-range shooters weigh powder charges for their handloads. Some even use ultra-precise magnetic force restoration scales to load to single-kernel tolerances. But is weight-based measuring always the best way to fill a case with powder? Another option is volumetric charging. This method fills a precisely-sized cavity with powder and then dumps the charge into the case. 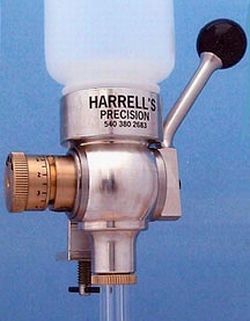 A Harrell’s rotary powder measure works this way, as does the sliding powder filler on a Dillon progressive press. For long-range applications, most people believe that precise weighing of powder charges is the best way to achieve optimal accuracy and low ES/SD. However, those short-range Benchrest guys do pretty darn well with their thrown charges, at least at 100 and 200 yards. So, ladies and gentlemen — what do you think? 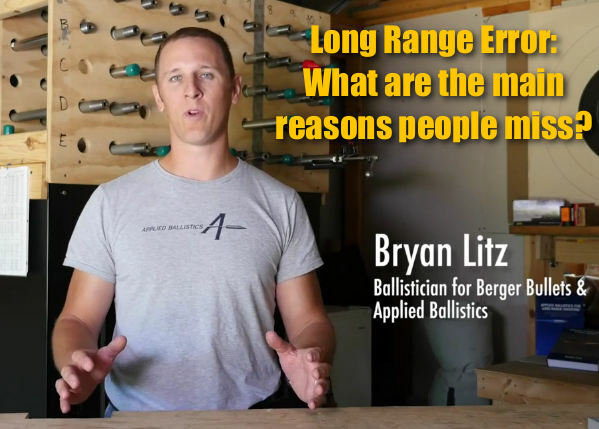 Why did Mr. Santiago’s volumetrically-charged ammo shoot better than ammo filled with weighed charges? What’s your theory? Gary Eliseo suspects that Dennis’s Chargemaster might have been drifting. What do you think? Post your theories in the comments area below. Share the post "The Great Debate — Weight vs. Volume in Powder Dispensing"